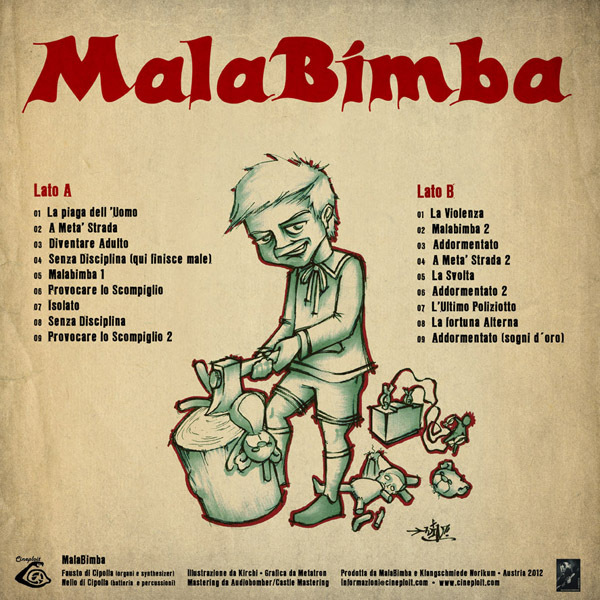 MalaBimba are Fausto di Cipolla and Nello di Cipolla a Duo creating handmade music for an imaginary movie from the 70s. Analog recordings, real drums, real keys and organs, real percussion, no computers used at all. They do pay homage especially to Italian movies from the 60′s to the 80′s but love in general cinema from the golden & silver age from all over the world with a main focus on Europe. Always connected to Europloitation are all these great, mostly Italian, Composers who they simply adore and need every day like food & water! 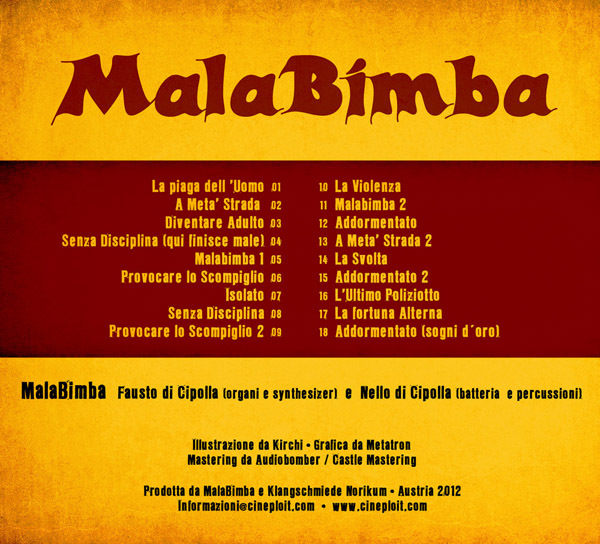 The name “MalaBimba” is italian and means something like “bad child”! 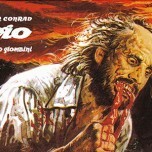 Highly influenced by Composers like Stelvio Cipriani, Piero Umiliani, Alessandro Alessandroni, Gianni Ferrio, Riz Ortolani, Ennio Morricone, Armando Trovajoli, Piero Piccioni, Carlo Maria Cordio, Fabio Frizzi, Bruno Nicolai, Luis Bacalov, Vince Tempera, Nico Fidenco, Nora Orlandi, Carlo Savina, Franco Micalizzi, Carlo Rustichelli, Guido & Maurizio de Angelis, Marcello Giombini, Gianfranco Plenizio, Lallo Gori, Luciano Michelini, Pino Donaggio, Goblin, Claudio Simonetti, Bendetto Ghiglia, Angelo Francesco Lavagnino and many many others! 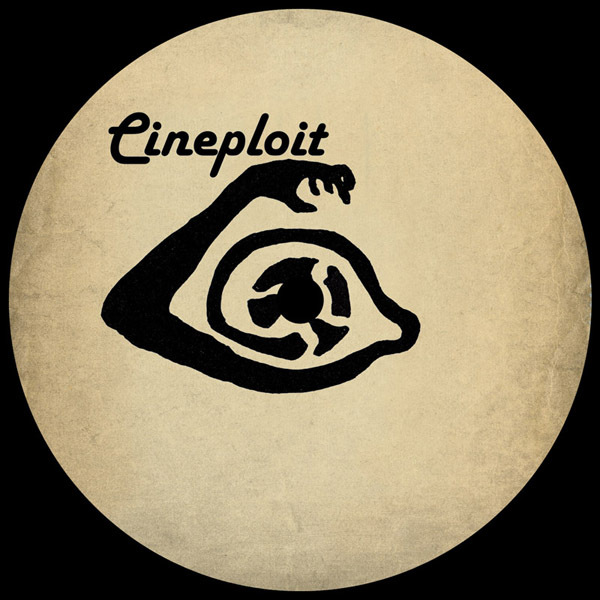 MalaBimba will release their first self titeled longplayer in April 2012 on the new Austrian lable Cineploit, which is a sublable of Totem Records from Vienna. I had the honor to design the CD Digipack and the LP Record Cover as well. 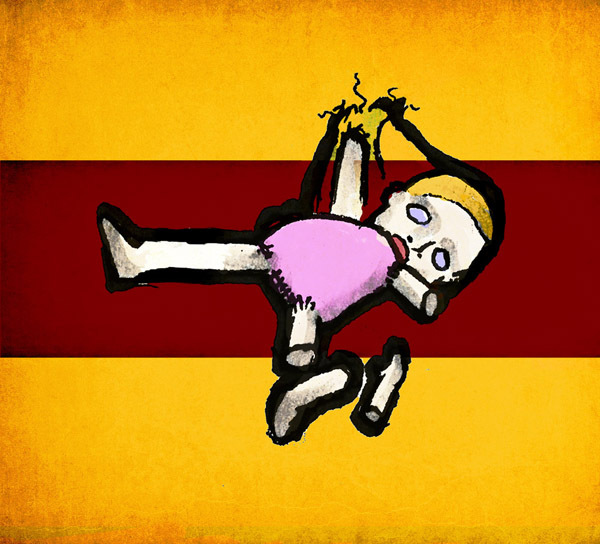 The fantastic hand drawn illustration is made by Kirchi, a good friend and family member of the Lable owner. The idea was to made a colored version for the Digipack, like an original cover art from the 60s or 70s and a yellowed and vintage looking version for the LP. 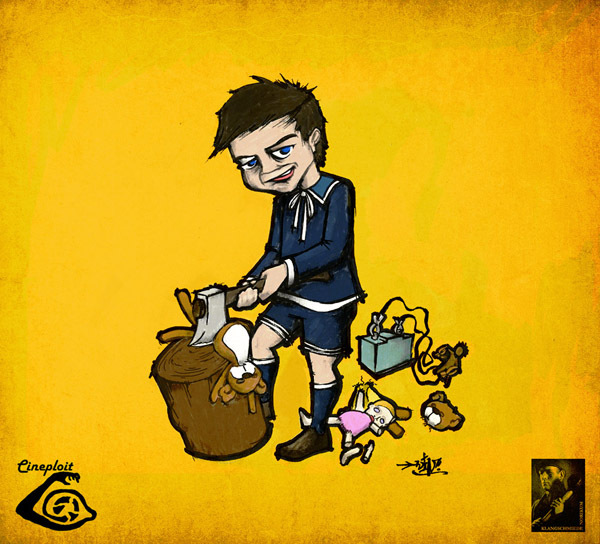 This was also my first job to colorize an illustration of another artist and my first chance to use my WACOM graphic tablet for a digital paintjob! 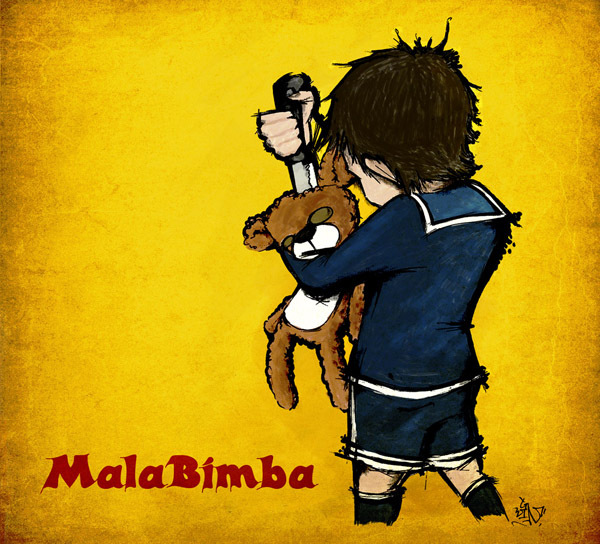 So, if you like the music of those bad childs, please buy a Record or CD. It’s made with love an passion and released on a new and very small independent lable. Believe me, every track on this record is a hypnotic earworm. Last but not least, check also out the Thelema album Hearing the Light, which is also released on Cineploit and desinged by me!